The General Perry Benson Chapter, National Society Daughters of the American Revolution (NSDAR or DAR), membership extends throughout the middle counties of Maryland’s beautiful Eastern Shore. 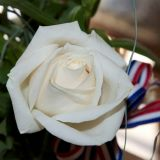 We hail from all points of the compass rose, uniting with daughters born on the Delmarva Peninsula. Our lives are impacted by the beautiful Chesapeake's bountiful water wonderland. 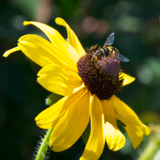 Founded as the General Perry Benson Chapter NSDAR fifty-three years ago, in Easton, Maryland, we comprise fascinating backgrounds, abilities, talents, and interests. We share the common bond of descent from ancestors, hailing from various colonies, all of which contributed to securing independence and freedom as the United States of America, initiating the greatest experiment in human freedom the world has ever known. 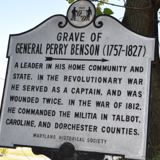 General Perry Benson is regarded as a local hero, both leading colonists during the Revolutionary War and again during the War of 1812. Our chapter is named in his honor. Recently, we restored and improved the Benson Family Cemetery, General Perry Benson's final resting place. We honor the general's legacy annually on April 17th, our chapter's anniversary, by conducting our April meeting on the recently beautified grounds. We participate in the NSDAR initiative "Service to America," focusing on the three main DAR objectives of historic preservation, education, and patriotism. 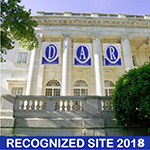 The DAR is a non-profit, non-political, volunteer women's service organization dedicated to promoting patriotism, preserving, American history, and securing America's future through better education for children.